It is not just a slogan, it is a frame of mind. To be better is to outperform the competition. We can help you do that. Vacalon only produces and distributes the absolute best products available. We offer products you can depend on, and you can always rely on us to provide support when you need it. 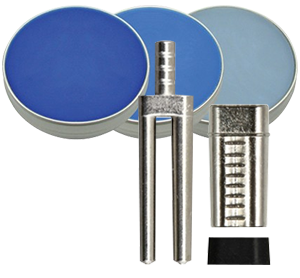 Since 1959, Vacalon has been delivering quality products across many industries. With dealers located around the world, Vacalon products are used in over 50 countries. Some of our leading products; such as Quickcheck, Vacalon Disposable Plungers, ProLine Solutions and Waxes are known by professionals around the world. We continue to selectively expand our product line as we aggressively pursue and develop unique products. Through strategic and exclusive international partnerships, Vacalon offers an impressive range of exciting products. Besides offering the Vacalon product line, we also offer the best products from select companies around the world. Our partners inlcude Neirynck & Vogt nv in Belgium, BK-Medent in Korea and Georg Schick Dental GmbH in Germany. We proudly present their quality products, such as Z4 Universal Investment, BK Auto-Mixing Porcelain Palettes and the G2-Concept Model Saw alongside our own trusted Vacalon brand. Our mission is to exceed the requirements and expectations of you, the customer, through detailed product selection and our commitment to continual product development. At Vacalon, we believe in growth; so we continually invest in research and development. When developing products, we set our minds to increasing productivity, providing confidence in accurate methods and always offering fair prices. We never settle for less than the best and we are constantly working forward so you can stay ahead.